If you're in search of a casual yet dapper look, consider pairing a black crew-neck sweater with black chinos. Both pieces are totally comfortable and will look great paired together. 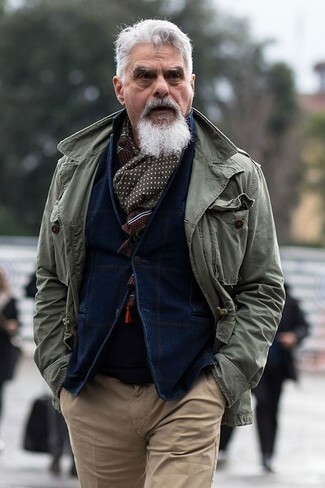 For something more on the daring side to finish off this look, choose a pair of black and white low top sneakers. 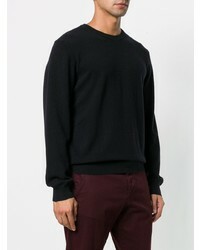 This combination of a Z Zegna Loose Fitted Sweater from farfetch.com and black chinos offers both comfort and confidence. 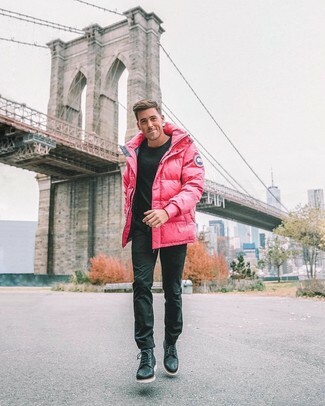 Finishing off with a pair of black leather casual boots is the simplest way to give a touch of refinement to this ensemble. Marry a Z Zegna loose fitted sweater from farfetch.com with blue ripped skinny jeans for a laid-back yet fashion-forward outfit. 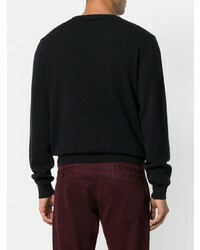 If you're in search of a casual yet dapper ensemble, consider teaming a Z Zegna loose fitted sweater with olive chinos. Both items are totally comfortable and will look great paired together. If you're all about relaxed dressing when it comes to your personal style, you'll love this easy pairing of a black crew-neck sweater and navy ripped skinny jeans. To add elegance to your getup, complement with tan leather brogues. If you're after a casual yet seriously stylish ensemble, try teaming a Z Zegna loose fitted sweater with light blue denim shorts. Both items are totally comfortable and will look great paired together. 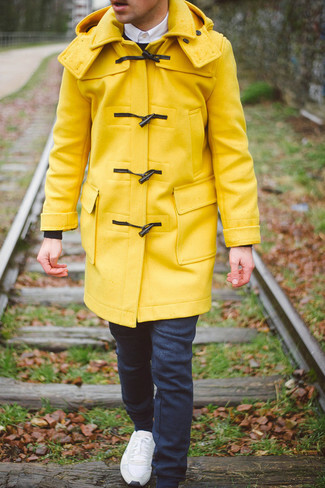 Spruce up this outfit with dark brown leather casual boots. 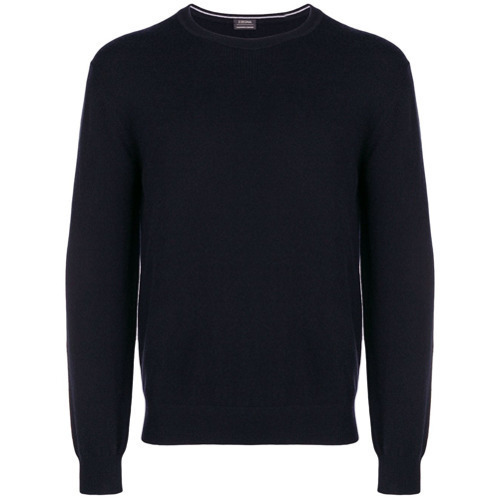 If you're scouting for a casual yet stylish getup, make a Z Zegna loose fitted sweater from farfetch.com and navy sweatpants your outfit choice. Both items are totally comfortable and will look great paired together. 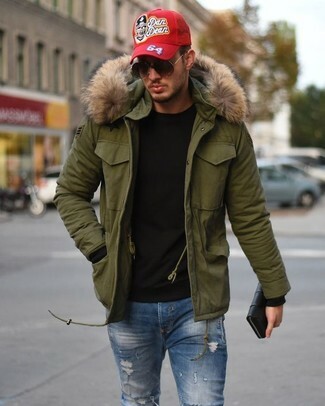 When it comes to footwear, this getup is finished off brilliantly with white low top sneakers. 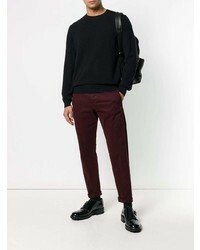 If you're on a mission for a casual yet on-trend look, make a Z Zegna loose fitted sweater from farfetch.com and red chinos your outfit choice. Both pieces are totally comfortable and will look great together. If you're scouting for a casual yet on-trend look, pair a black crew-neck sweater with khaki chinos. Both pieces are totally comfortable and will look great paired together.